Former Jaguar F1 test driver, German Andre Lotterer, is the 2006 Super GT champion with his TOM'S Lexus teammate Juichi Wakisaka, after the series came to an end at Fuji Speedway today - writes Mark Cole. The pair finished the Fuji 300 Kms in fourth place, above, but it was enough to give them the title over French Honda driver Sebastian Philippe and Japan's Shinya Hosokawa by just 1 point. Third were Ryo Michigami and Takashi Kogure, also for Honda. Toyota Team TOM'S also took the team's title, saving face for Japan's biggest manufacturer as Honda won the final race on the Toyota-owned circuit, which will host the Japanese Grand Prix for the first time in 30 years next October. 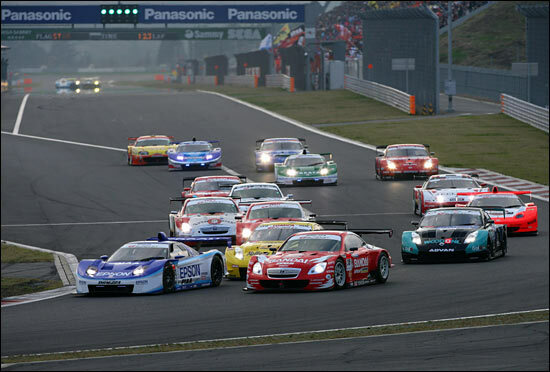 It was another Frenchman, rookie Loic Duval, who won the race from pole, sharing his Epson Honda NSX with Hideki Mutoh. They beat Britain's Peter Dumbreck and Japan's Naoki Hattori, who had also started their Bandai Direzza Lexus from the front row, by 32.6 seconds. 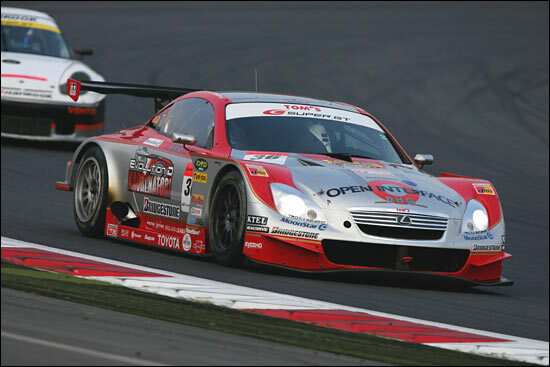 Third place, just 3/10ths of a second behind the Lexus, went to 2004 Le Mans winner Seiji Ara and Masataka Yanagida for Nissan. None of the eight crews still in with a chance of the title figured up front in the qualifying or the race, weighed down by success ballast - as much as 90 kgs for Lotterer and Lyons, and 80 kgs for the Raybrig NSX of Philippe and the Zent Cerumo Lexus of Tora Takagi. 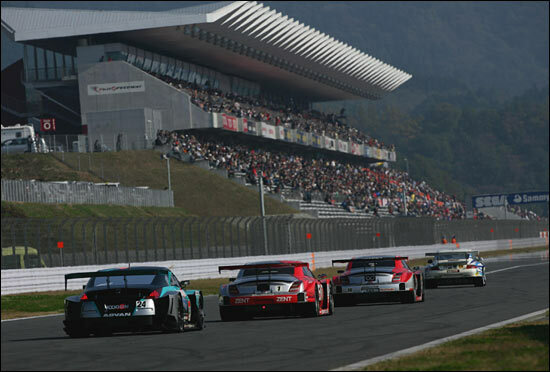 Lotterer had qualified seventh, and he and Hosokawa were the biggest movers of the race, up to fourth by the end. two second places, against one win and one third for the Shiden.